The California drought is a very serious issue that impacts all Californians. Even with the recent rainstorm and snow, we will be fortunate to surpass the rain level of 1976-1977, one of the worst droughts on record in California. Drought restrictions can be complex and confusing.Since voluntary or mandatory drought restrictions are often drafted and implemented locally the best way for you to stay informed is to contact your local water provider. Plants that do not receive enough water due to drought or governmental restrictions aimed atwater conservation will eventually show signs of water stress. 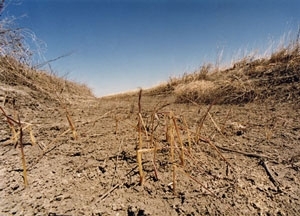 Although plants vary in the amount of water they require for optimal growth and development, most exhibit characteristic symptoms when they are in need of water. Because plants need to be watered at an early stage of water deficit to prevent irreversible damage, it is crucial to check plants regularly for symptoms of drought, preferably during the afternoon when symptoms are most evident. Read full text and learn more about Keeping Landscape Plantings Alive under Drought or Water Restrictions.